From the award-winning legend of speculative fiction, "a witty sendup of the detective story" with "a richness of invention that doffs a hat to Dickens" (Chicago Tribune). At a fashionable salon, Parisians line up to have their fortunes told by Ric Lazare's amazing machine. The predictions arrive with unerring accuracy, as if the invention were imbued with some sort of wondrous sorcery. The police, however, have a different opinion. They suspect that Lazare is a con man. Accordingly, they've sent one of their own to investigate. Unfortunately, the man they send is Paul Picard. His methods are unconventional. His appetites—for lemon tarts, and for prostitutes—are legendary. And he is no stranger to the dark side of Paris. But Inspector Picard is entirely unprepared for the string of murders that pulls him across the continent. As the killer's seductive knot tightens around him, he learns once and for all that there's more to the glimmering world of high society than first appears. 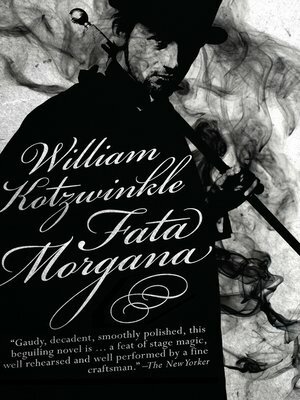 Winner of the World Fantasy Award for his novel Doctor Rat, William Kotzwinkle reaffirms his reputation as one of the most captivating and original American authors of the last half-century with this "elegant entertainment" of magic and mystery in Paris (The Washington Post).